Do We All Need To Move To Austin, Texas? In response to my grumble about people using their phones in the cinema, Joel Valle left this comment which made me want to pack my bags and start a new life in Texas! "We are lucky here in Austin, Texas. There is a Theather chain known as the Alamo Drafthouse where they have taking watching movies to a whole new different level. The theather is decorated with posters of classic cult movies. They don't show commercials, only clips from movies or funny videos that have similar themes of the movie you are about to watch. Meanwhile a waitress takes your order of specialty food like Pizza or fries, wine, etc... But best of all, they strictly enforce a no calling or textphone rule. If you violate the rule you are escorted out of the theather without a refund. It's a film lovers paradise!" 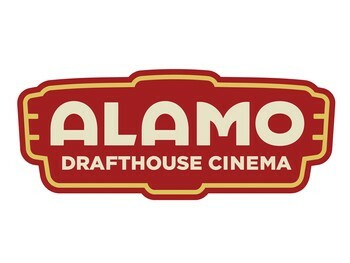 My writing partner used to live in Austin and he raves about the Alamo Drafthouse all the time. I really gotta visit. It's a fun, fun city to visit (although much different from Chicago). Great music, food and now I know about the Alamo Drafthouse. My eyes, too, become glued to the glow from the seat in front of me. Annoyingly mesmerizing!. Now if their fonts were only bigger, I could tap them on the shoulder and give them a more clever response to their rude texting partner! Screw moving to Texas, we need one of these in every town! Has Anybody Here Seen My Old Friend Niles? Miley Cyrus - What Have They Done To My Song, Ma? What if it was a conspiracy?